Our staff are highly trained and qualified to provide quick and quality service that you deserve. We even offer you a same day service*! *Conditions apply. There is a lot of information out there on solar. If it’s your first time installing a solar hot water system, then the amount of jargon and tech-talk can be overwhelming. That’s why the team here at Solar Repairs Perth have created a full FAQ on solar power and solar hot water – now you can rest assured that you’re getting the complete solar service package! Are you looking to save money on your power and gas bills? Reduce your carbon foot print, save energy, and even reduce greenhouse pollution? 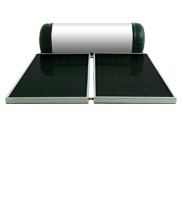 It’s time to install a solar hot water system on your home. Water heating is one of the biggest energy costs on WA homes, but it doesn’t have to be! With our abundant sun shine (and the most sunny days per year of any Australian capital city), Perth homes are perfectly positioned to take advantage of the sun’s energy. By switching from electric or gas to a climate-friendly solar hot water system you could save money on your power bills every month and save the planet! 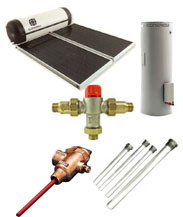 Contact us today to for a quote on your Solar Hot Water system or for more information on our solar system repairs. We will be more than happy to assist your needs! Call us today on 08 9240 8870.